Everything we eat comes with a story. 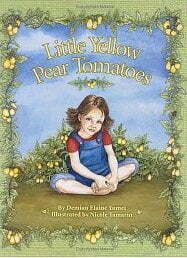 This book shares the stories, memories and feelings that live within each yellow pear tomato that grows in a young girl’s garden. What stories grows within the food in your school garden?